Missing person Reviewed by Edgeville Buzz on March 20, 2011 . Above endangered missing was last seen in the vicinity of 5600 block of North Ravenswood. Missing is developmentally disabled and may seem confused. Wearing glasses, black jacket, slacks and boots. 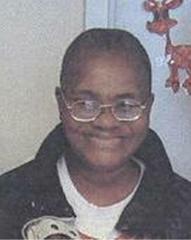 Missing recently moved residences and may be in the area of her former residence on the 3000 Block of North Troy. Likes Mcdonalds Coffee and is a heavy smoker. Missing is very shy. Please contact the Chicago Police Department’s Area 3 Special Victims Unit with any information at (312) 744-8266 or dial 911.